Two officials briefed on the exchange say the president told McAleenan, since named the acting secretary of the Department of Homeland Security, that he “would pardon him if he ever went to jail for denying U.S. entry to migrants,” as one of the officials paraphrased. One of the people briefed on the conversation said it was possible Mr. Trump had intended the comments [including the pardon offer] to Mr. McAleenan as a joke. 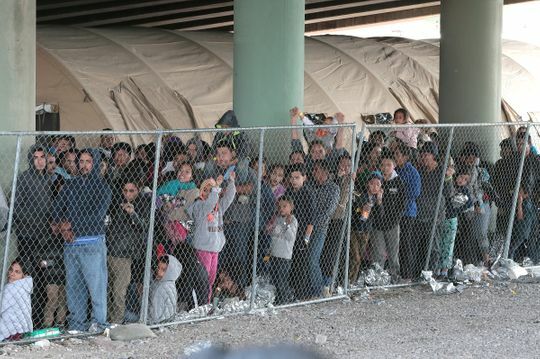 But the conversation, which took place during the president’s visit to the border town of Calexico, Calif., alarmed officials at the Department of Homeland Security who were told of it, according to the people familiar with the remarks. Trump, for his part, dismissed the allegation late Friday. As Franke-Ruta pointed out, though, there are numerous examples of the president asking people who work for him or the government to break the law, including his allegedly asking Michael Cohen to orchestrate hush money payments or asking then-DHS Secretary Kirstjen Nielsen to stop asylum-seekers from entering.